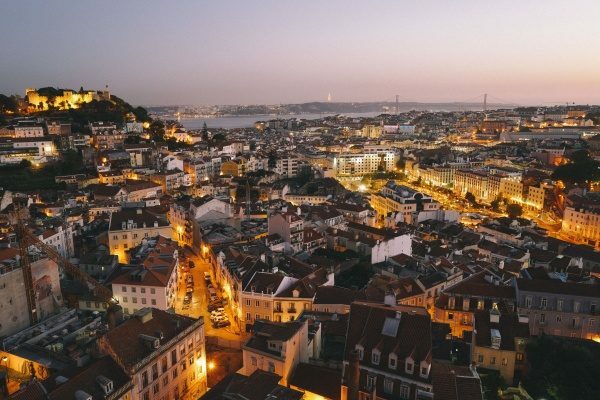 As the Portuguese capital rises in popularity as a tourist destination, raking in international awards every year, there doesn’t seem to be much more mystery left around traveling to Lisbon. Haven’t all topics been (overly) covered by every media outlet? Yes, they probably have, and that’s part of the problem. You see, Lisbon has become so popular and trendy that things may have gotten a little out of hand. So before the city of seven hills becomes a headline for overtourism like other European cities, it’s time I lay down some ground rules of proper tourist behavior under this catchy title of ten things you need to read first before traveling to Lisbon, responsibly. While the impact of overtourism in Lisbon isn’t as worrying as in other cities yet, that doesn’t mean that the influx of tourists (for which locals who don’t work in the tourism industry weren’t prepared) doesn’t come with its set of challenges. That said, most Lisboetas will welcome you with open arms, but you also must be aware of how you must minimize your negative impact in the city. This means being conscious about choosing a tour, your accommodation, and where to stay — which I’ll cover in detail in the next sections. But also how you must change your perception of a place when traveling and treating it as someone else’s home instead of just another destination you’re ticking off your bucket list. Reading some books about Lisbon while planning your trip, for example, usually, help to see a destination from a new angle. As in the majority of the European countries, Portugal’s currency is the Euro (€). 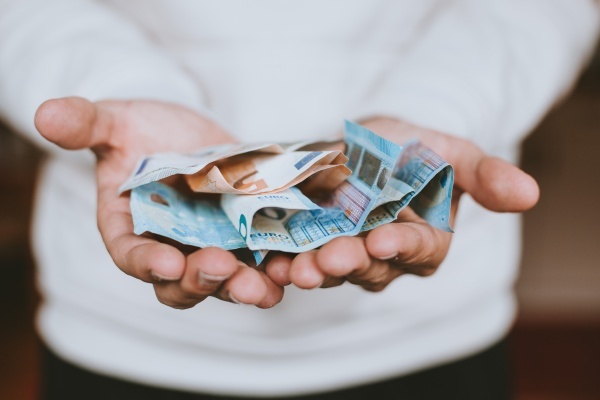 If you are going to travel with mostly cash, try to exchange the currency in your country of departure for lower fees and if possible try to have only small bills of €5, €10 and €20. On the one hand you don’t want to be flashing the big bills (like €50 and €100 or €200; €500 bills are an absolute rarity in Portugal) and becoming an easy target for all sorts of people trying to sell you stuff on the streets (from sunglasses to lighters, to hash). On the other hand, smaller bills will be easier for change in most stores and cafes. The majority of the places accept payments with debit or credit cards, but the smaller shops may have a minimum amount of €5 to accept payments with cards — that’s because they are taxed on every transaction that is made. Time in Lisbon is GMT, the same time zone as the rest of Portugal (except in the Azores archipelago, -1 GMT). Most shopping malls open at 10 a.m. and close between 11 p.m. and 12 a.m. and are open every day of the week. Street shops, however, have a more restrictive schedule opening at 10 a.m. and closing at 7 p.m. but they don’t close during lunchtime; on Saturdays, most of them will close early at 1 p.m. and won’t open on Sundays. Regarding cafes, the closing time may vary according to their location and purpose (some cafes serve meals as well, but they still aren’t classified as restaurants), but commonly most of them will open for breakfast as early as 7 a.m. or 8 a.m. Restaurants usually serve their lunches between 12 p.m. and 3 p.m. and dinners between 7 p.m. and 10 p.m., but it also depends on location and popularity which means they can be open until as late as midnight. This schedule varies according to their “kitchen hours”, which means the time of day they are just preparing meals. There’s no harm in asking if the kitchen is still open! Banks are open on weekdays only from 8.30 a.m. to 3 p.m. and most public offices open from 9 a.m. to 12.30 p.m. and from 2 p.m. to 4.30 p.m.
Lisbon is a reasonably safe city, however, if anything less positive happens (as in many other European capitals, pickpocketing is an ancient art and a well-established “business”) the Police Station for Tourists is very central and easy to get to in Palácio Foz at Praça dos Restauradores. The Portuguese law enforcement is called PSP (Polícia de Segurança Pública)and they are easily identified by their dark blue uniforms. There are three 24h Pharmacies in Lisbonand three with an extended schedule (until 10 p.m. or 12 a.m.) in case you need specific medication. For over the counter medicine, most malls have drugstores where you can buy branded or generic pills. In a case of emergency dial 112. If you are a national from another European country, you can apply for the free European Health Insurance card, valid up to 5 years. Since 2016, the Lisbon City Council charges a tourist tax per person per overnight stay, to a maximum of seven overnight stays in a row. The revenue from the Lisbon tourist tax is then reinvested in projects to improve the city, for both locals and visitors. The Tourism Information offices or kiosks are called Ask Me Lisboa. Their schedule varies depending on their location so the ones with the extended schedule are at the airport arrivals (7 a.m. to 12 a.m.), at the International Terminal of Santa Apolonia train station (7.30 am to 10 p.m.. However, it’s closed on Sundays), at Praça do Comércio (9 a.m. to 8 p.m.) and at Palácio Foz (9 a.m. to 8 p.m.). This is also where you can buy the Lisboa Card that combines public transportation with discounts on several museums and tourist attractions, valid for 24h (€19), 48h (€32) or 72h (€40). Note: Prices may vary so make sure to confirm the updated rates. Above all, I want you to explore this beautiful city but I know that staying connected is also important to keep friends and family posted. Most cafes and restaurants will offer complimentary Wi-Fi for customers (and usually will state so on the window). Free Wi-Fi on buses and trams (Carris only) and Metro stations has been a bit of an “on and off” kind of situation. Since May 2017, some private companies took over the once public-access Wi-Fi connections on some Metro stations. If you don’t mind handing over your personal data (and being flooded with ads for their products) in exchange for connection to download some Lisbon apps while waiting for the next train, just look for the sign on the platform. If you have an unlocked mobile phone and prefer to buy a local prepaid SIM card look for a store from one of the Portuguese mobile operators: Vodafone, MEO (Altice), and NOS. Most of the times when people are searching for accommodation in Lisbon, they’re more focused on neighborhoods, types of hotels, and prices per room than they are on the purpose of their trip. Focusing on why (and how) you are traveling to Lisbon completely changes how to research a place to stay. I wrote a post on how to choose the best area to stay in Lisbon that addresses all scenarios from business trips and one-time-off visits to tourists and digital nomads. As for the elephant in the room, a.k.a. Airbnb in Lisbon, and whether it is responsible to choose this type of accommodation or not, let’s just say that the fraud of living like a local completely blurred the line between housing and accommodation that has nothing to do with traveling or the so-called sharing economy. Lisbon has a very good and intuitive public transport network of trams, buses, underground, ferries and suburban trains. 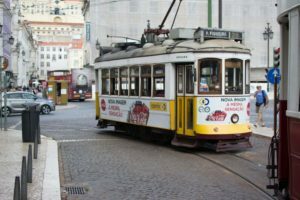 The trams and buses are operated by Carris (and can’t be missed by their mustard yellow color), the underground is operated by Metro, the ferries are operated by Transtejo Soflusa (with connections to the Tagus Southbank from Belém, Cais do Sodré, and Terreiro do Paço) and the trains are operated by CP – Comboios de Portugal. Please be aware that public transportation is there for locals first. During rush hours (between 7 and 9 in the morning and between 5 and 7 in the evening), and if you’re staying for more than one day in Lisbon, call a cab or use a service like Uber instead if you’re in a hurry. Some areas like Baixa-Chiado and the Lisbon old quarters of Alfama, Graça, and Mouraria are best explored on foot. If you’re outdoorsy, I suggest walking or biking by the Tagus River from Cais do Sodré to Belém. From the airport, you can take the Aerobus or the Metro. It’s a matter of choosing the most convenient (where are you staying?) or the most accessible (some underground stations won’t have escalators or elevators). If you are thinking affordable, Metro is the cheapest option. If you’re in Lisbon for a short period and want to do as much sightseeing as possible, consider choosing a hop on hop off bus Lisbon service that covers the city’s highlights. Best Value: if you are planning to use public transport a lot while you’re visiting, purchase the Lisboa Viva card for €0.50 on any Metro station booth or machine and calculate how much money you will need for traveling around for the time of your stay. Make sure you top off the card with money instead of travels, that way you can use as many different public means of transport as you want. If you buy travels instead, keep in mind they will only be valid for the transport you chose. It means you can use it for the bus or tram, but you can’t use it on the boat to go visit the Cristo Rei in Almada or on the train to see the Atlantic ocean in Cascais. Note: prices may change so, please,​ make sure you confirm the updated rates. There is a chance the driver won’t have enough change to give you back or that the ticket machines inside the more modern trams don’t work, so always carry enough change to cover your ticket or a valid Viva Card. The doors of Metros are automatic, the entrance on buses is always done from the front of the bus and on trains and trams you must push the button to open the door (both inside and outside). When traveling by Metro, always wait for people to get off before you get on (yes, even if the locals are setting a bad example). On weekends and National Holidays the frequency of transportation is reduced (or suppressed depending on the route) and Metro trains circulate with three cars only (usually it’s announced on the platform screens). I know the things you shouldn’t do in Lisbon as a responsible tourist or a conscious traveler. As for what to do in Lisbon, and I apologize because I didn’t want this section to feel like a trap, think first about why and what do you travel for. I believe one of the reasons why Lisbon is so popular with tourists right now is because there is something for everyone here. I refuse to call it a “cheap” or “affordable” destination. The art museums in Lisbon are not yet crowded with selfie-seeking tourists and you can pretty much have the place all to yourself most of the times. Lisbon underground hides layers of cultural and historical influences dating back to the Ancient Romans, most of them not yet completely revealed and some that pop up on a construction site when you least expect it. Hidden alleys and steep hills come with the reward of the best views in Lisbon, most of them unofficial and free. 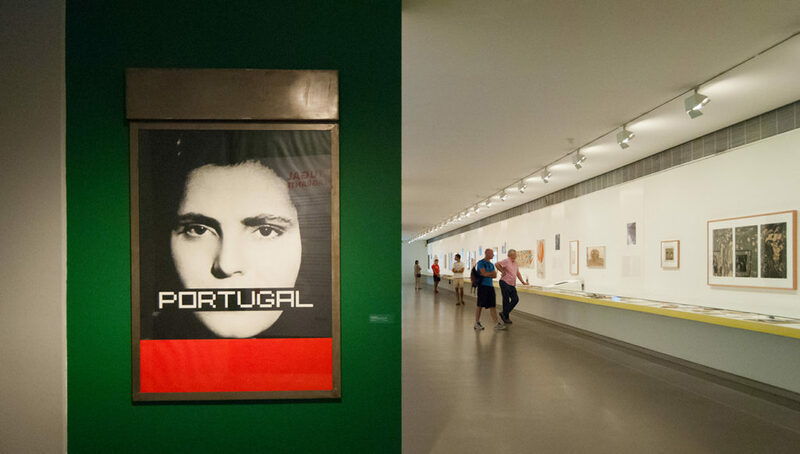 There’s a place in Lisbon for book lovers, outdoor enthusiasts, foodies, artists, music fans. And the best part of it all? Some of them are just feet away from one another. The good thing about Lisbon is that the city is compact. That said, there’s also a number of places you can skip in Lisbon, either because they’re overpriced or because visiting them doesn’t add any value to your trip. Being honest about what to do and what to visit in a city also means pointing out the (few) things that are alright to skip. It baffles me how people walk up to a landmark, checklist in hand, without any interest or knowledge about why they’re visiting in the first place. Let me be very blunt about free tours (in Lisbon or in any other place in the world): that is not acceptable. If you are using a service, you should pay for that service. And, no, tipping the tour guide in the end according to what you thought of the experience is not fair pay. Can’t afford to go on Lisbon tours? Do your self-guided tour of the city. Would you walk into a café or a restaurant and negotiate a tip with the employee? No, in those places you pay for a service AND tip in the end if you think they went above and beyond. How hundreds of online media outlets still promote free tours as an affordable way to visit a destination drives me mad. Besides, tagging along with 40 people on a walking tour can’t be a positive experience for anyone. 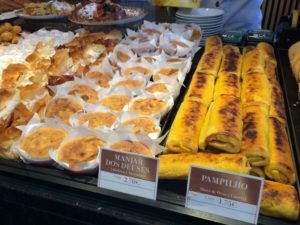 To get the best of both worlds while traveling in Lisbon, I always recommend doing a combination of food and walking tour. We are so culturally connected to food that it’s a great part of our History and our cultural identity too. 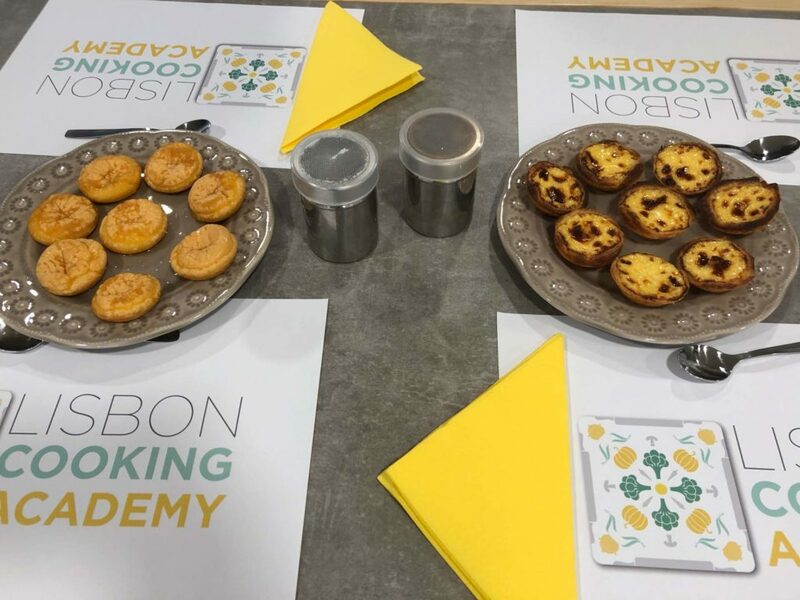 Try a pastry class at Lisbon Cooking Academy or go on their Lisbon market tour (that also includes cooking). If you prefer more walking and less hands-on experience, go on a self-guided DIY tour of Lisbon markets or choose one of the Lazy Flavors food tours. If you’re staying in the city for just three days or less, on a city break or an extended weekend, I don’t recommend Lisbon day trips. I know everyone else will tell you that you absolutely must visit Sintra or Cascais, but do you really want to see everything on the run among a crowd of other stressed tourists who suddenly realized the size of the ticket lines? Geographically, Lisbon’s location is an advantage. There are plenty of places that are great for day trips from Lisbon by train besides Sintra and Cascais, like traveling to Évora or spending one day in Coimbra. I advise you to, at least, keep three days to thoroughly explore Lisbon and add an extra day to your itinerary (that is not your arrival or departure) so you can hop on a train or a ferry (or both) and explore some of the Lisbon day trips’ suggestions I’ll be compiling on an upcoming post. Raise your hand if the first thing that pops into mind is sardines in Lisbon when you’re thinking about local food. Well, they’re so frequently advertised as Lisbon’s local dish that I can’t blame you. What most of those lists won’t tell you is that sardines are seasonal and if you’re traveling to Lisbon in the spring or the winter, those fresh sardines on your plate are most likely frozen. The same goes for pasteis de Nata. Sometimes it feels like the custard pastry became the sweet treat of Lisbon and everyone is trying to sell you their “homemade” or “artisanal” version. Well, most of the times it’s a trap not worth the money you spent. There’s a handful of Lisbon coffee shops where you can get your caffeine and sugar fix with fairer prices and better quality. To find restaurants in Lisbon that serve authentic Portuguese food you must stay away from crowdsourced content platforms where tourists forget to take other tourists’ reviews, opinions, and recommendations with a grain of salt. When looking for a restaurant you want to dodge the ones who have waiters outside begging for a minute of your attention. The food will be overpriced and not that great in quality. Look for places where the locals hang out and search for reviews online. And most importantly, don’t search for a restaurant when you are already hungry — your instinct will kick in and basically, your brain will tell you to stop at the first place that serves food. Also, not all the restaurants that advertise live Fado have actually a magic combination of great live music, great wine, and great food. By the time I hit publish on this blog post, chances are that the new trendy spot for Lisbon nightlife has shifted. Well, maybe not that fast but wait a couple of years. Bairro Alto still remains the classic hangout spot for cheap drinks and bar hopping. I, and the neighborhood’s residents too,prefered if the narrow streets were less plastered with drunken students or maybe I’ve outgrown the charm of the place. I can’t say you shouldn’t visit, because it is a classic, but take Bairro Alto in small doses at a time. Or, better yet, visit during the day when the bars are closed to get a first impression. Cais do Sodré has been experiencing a nightlife renaissance, if I can call it that. “Pink street” (or Rua Nova do Carvalho as the street is actually called) was the first place where derelict buildings became bars and restaurants, some paying an unashamed tribute to the area’s former past as a prostitution district (no, it is not “Lisbon’s red light district” to be clear). Alfama is overstuffed with casas de Fado, where you can eat or snack to live Fado music. I wouldn’t call them a tourist trap upfront, but the truth is that locals only go to such places if they have someone visiting or the place is the venue for special event. I don’t really want my blog to be a long guide of all the things you can and should do in Lisbon (I explain myself and my position on the about me page if you want to know more). But I do want to state very clearly the kind of shopping you should be doing, particularly if you want to support the local economy and minimize your negative impact. Look for places that favor locally made souvenirs (hint: a boomerang or a “made in China” magnet is not it) or local artisans. On downtown Lisbon avoid the gift shops on the busy streets — they all sell the exact same things, but prices fluctuate from store to store. On the flea markets avoid buying tiles — most of them are carved off (literally) from historical buildings and many others were destroyed in the process. Read more about alternative spots for shopping in Lisbon and check out my recommendations on where to buy sustainable and local souvenirs in Lisbon. At the moment that I’m writing this, I’m preparing a post on where to buy tiles in Lisbon sustainably and responsibly (hint: Feira da Ladra is not one of them) and one on wine shopping in Lisbon. They say you must save the best for last but I’ve actually left the least important tip to the end. It’s not that Lisbon is scam and tourist trap free but I just think people shouldn’t be so quick on judging a destination based on the behavior of its less-honest citizens. Most of the scams and tourist traps in Lisbon also affect locals (yes, including pickpocketing), so it’s not a new activity geared towards gullible visitors. Classic schemes include selling “drugs” in plain sight (in fact, it’s pressed bay leaves, not drugs) and charities you’ve never heard of raising funds. After one of these so-called charities was outed on national television, their activity has (apparently) ceased. Donating money to beggars in the street is up to you, but always suspect when they seem to handle it as a daily job with a schedule: on the steps of a busy church, near a popular tourist attraction. True story: I have seen women change shifts. One is sitting and wailing while begging for money, the other one comes, they chat for a while (about the kids, the latest soap opera episode and what they’re cooking for dinner), she gets up and leaves, the other one takes her place and (on cue) the wailing restarts. I have, though, noticed a trend to increase prices or add extra fees in cafés and restaurants in more touristic neighborhoods like Alfama and Baixa-Chiado. This happens a lot in places with live Fado music where you’re expected to also pay for the concert on top of the meal (incredibly overpriced most of the times). Is it illegal? No, if it’s written somewhere that such added fee exists and if you were informed of it. A lot of people let it go when it’s just an extra €1 or €2. Useful guide, Lisbon looks incredible!